Vive la différence! 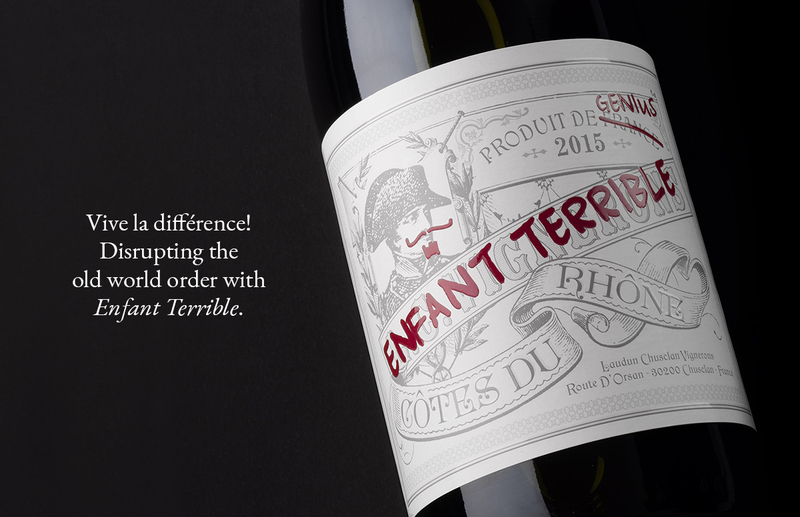 Disrupting the old world order with Enfant Terrible. When looking at Côtes du Rhône in the UK market, our client found that most of the wines on offer had very classic, traditional packaging; there was a lack of brands with genuine consumer appeal. With a young and dynamic winemaker, our client wanted the brand to be a quality Côtes du Rhône offering but with real personality and charm. 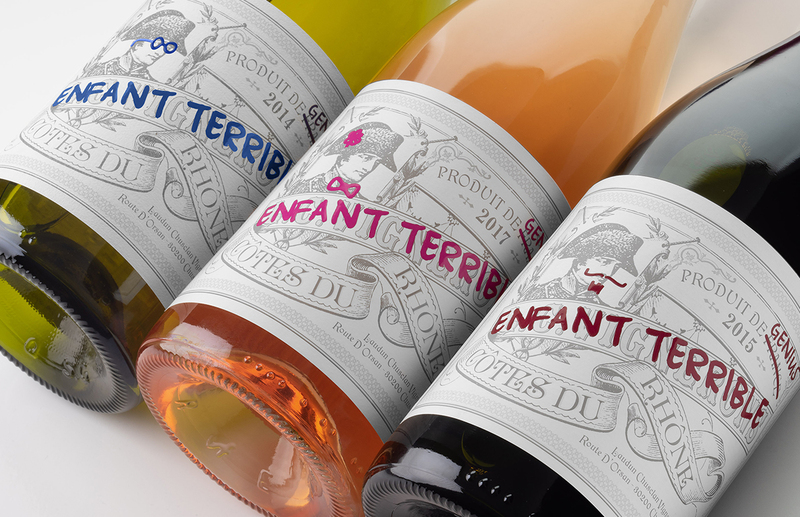 They landed on Enfant Terrible as a name they felt encapsulated not only their winemaker but also the brand itself; young, precocious and rule-breaking. Our brief was to create a brand that was intrinsically French, authentically Côtes du Rhône, and with a personality to match its name. 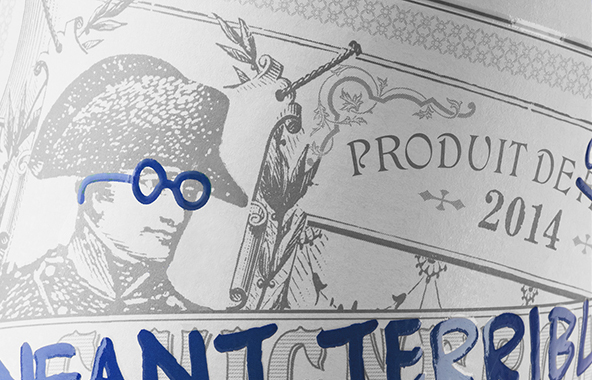 We couldn’t think of a more recognisable (or appropriate) French enfant terrible to lead the charge for the new brand than Napoleon, who outraged the ancien régime by revolutionising vineyard ownership in France. 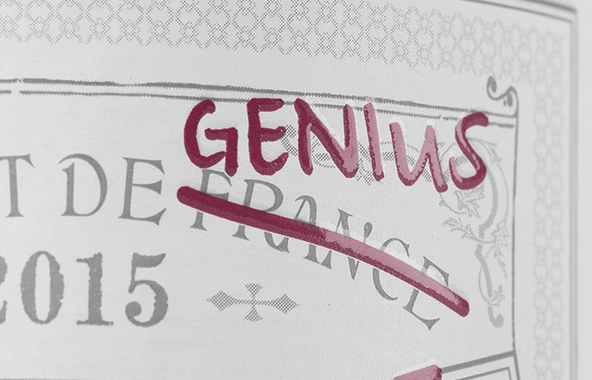 We designed a classic Côtes du Rhône label which was then humorously defaced by the unseen hand of the brand’s modern day enfant terrible – the winemaker.